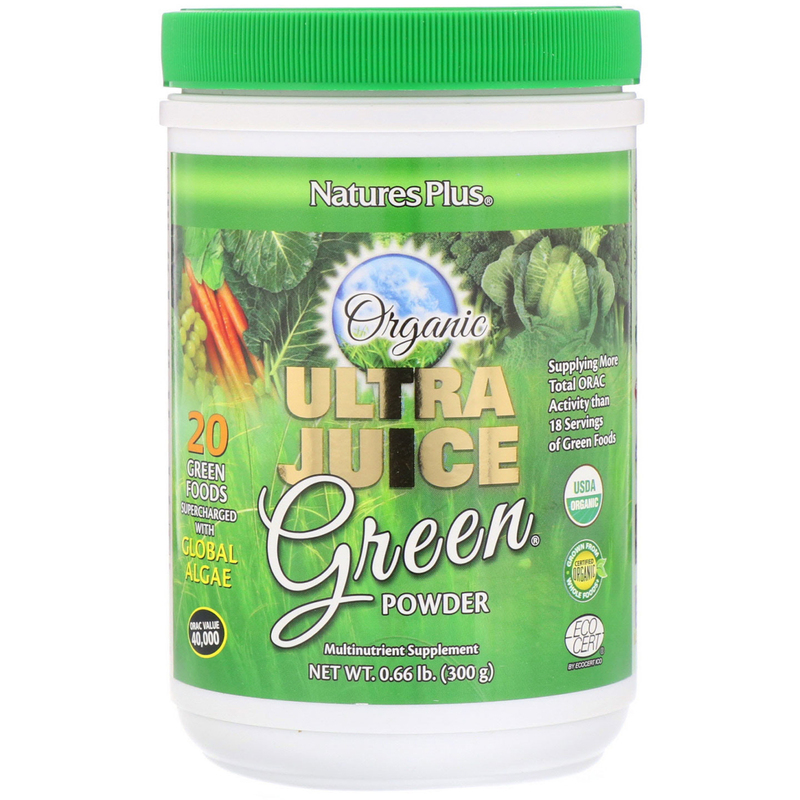 Organic Ultra Juice Green Powder is a Certified Organic green food concentrate, delivering the nutritional benefits of the world’s most healthful green fruit and vegetable juices. 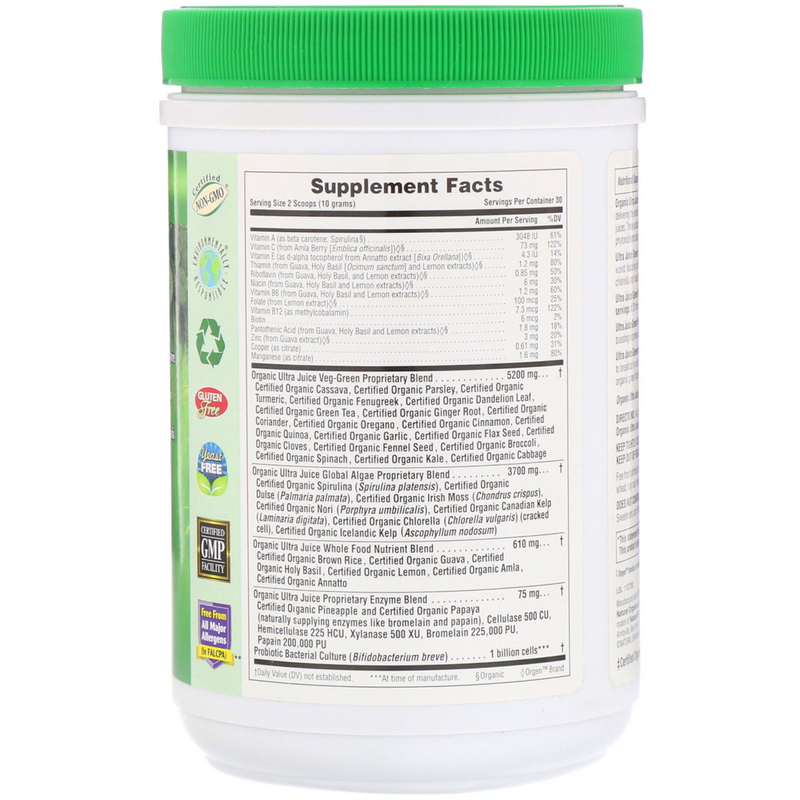 These outstanding nutritional benefits feature a complete profile of protective phytonutrients naturally abundant in terrestrial and aquatic vegetables. Free from artificial colors or preservatives. Free from the common allergens yeast, wheat, soy and milk. Does not contain: Titanium dioxide, talc, yeast, hexane and artificial: flavoring, sweeteners and preservatives.